The currency pair didn’t fall much yesterday. Currently we can see the formation of “triangle” which can be broken both upwards and downwards, that’s why one is advised to trade towards the side where it will be broken. The best variant is the following: the price breaks the “triangle” downwards, moves to the 5th point of reference, and only after that it starts to grow. But, as we can see, the price hasn't reached the lower side of the “triangle”, which means that it will probably be broken upwards. Pound, as expected, has reached the specified targets. 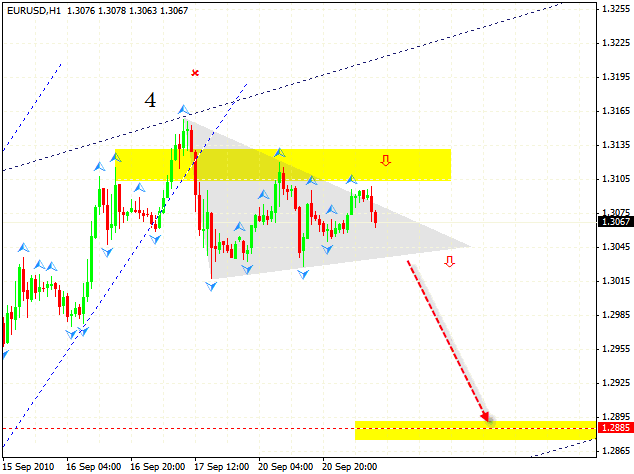 At the moment we have the descending pattern forming with the target in the area of 1.5485. A little bit lower we can see the targets of the “head & shoulders” reversal online forex pattern. One can try to sell the pair. 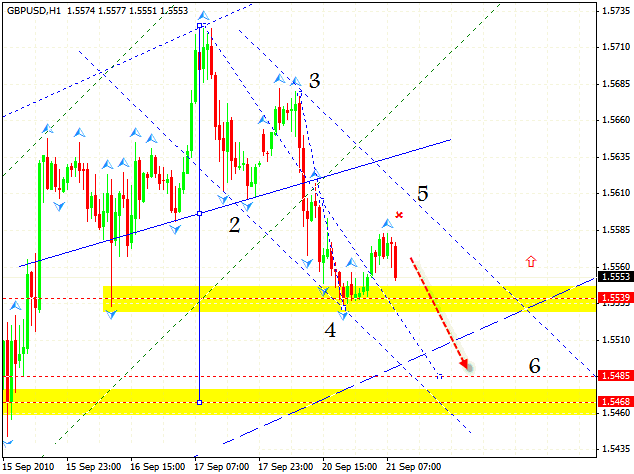 But remember, if the price leaves the descending channel, you should buy the pair with the target in the area of 1.5775. Franc doesn’t form the rising patterns, which means that there is a significant descending trend. 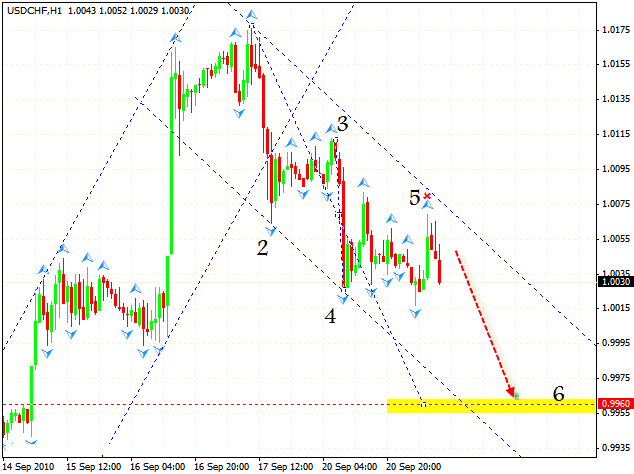 At the moment we can see the formation of the descending pattern with the target in the area of 0.9960. One can try to sell the pair with the stop above 1.0065.